Reed & Barton ~ Other ~ Perspective 65-Piece Set, Price $160.00 in New York, NY from William-Wayne & Co. 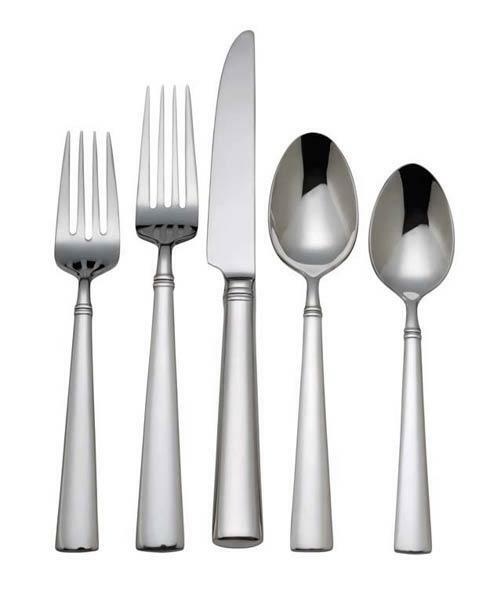 The Perspective 65-Piece Set from Reed & Barton offers contemporary, continental-size flatware with a smooth, highly polished finish with double banding at the throat. This stainless steel set includes twelve 5-Piece Place Setting, a 5-Piece Hostess Set including a Pierced Tablespoon, Tablespoon, Cold Meat Fork, Sugar Spoon and Butter Knife. Elegantly packaged for gift-giving and storage.